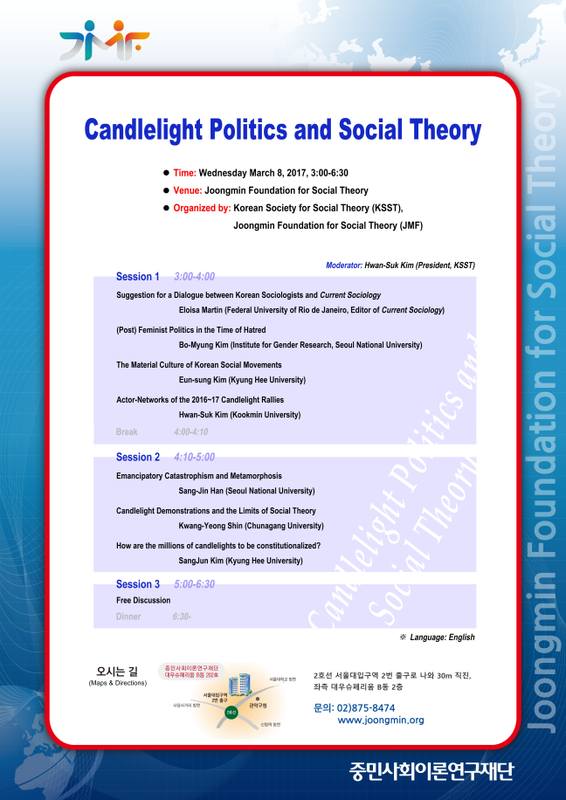 On Wednesday, March 8, as a part of the ISA writing workshop, an academic conference on “Candlelight Politics and Social Theory” will be held at Joongmin Foundation for Social Theory. This conference is jointly hosted by the Joongmin Foundation and The Korean Society for Social Theory. Prof. Eloisa Martin, editor of the Current Sociology, the journal of International Sociological Association, will also be present at this event. Joongmin Foundation would like to invite all of you to this event who are interested. Thank you!